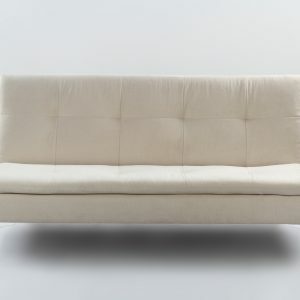 Save space: Sofa beds come in two forms – in the form of a foldable or a pull out sofa bed. Both options are extremely sturdy to support any body weight. Use it as a sofa in the day, and unfold or pull out a platform to sleep on it at night! Comfort: Sofa beds are manufactured to be as comfortable as your beds. Our sofa beds are equipped with features to provide the user with ergonomic benefits and a good nights rest. Design: Given the insane variety available at Masons Home Decor, you can be sure to find a suitable sofa bed to suit your design preferences. Click on any of our sofa beds below and scroll through its image gallery to better understand how the unfolding or pulling out works for each of them! Singapore is famous for its HDB apartments. Due to our increasing population, homes are beginning to become more compact as new developments are being built. A small home does not mean it is not worthy of being a home! Thanks to the invention of the sofa bed, Singaporeans now have an effective way to add an extra sleeping platform to the home without compromising space. Our designer sofa beds help all achieve beautifully furnished homes and most often complete the desired look that home owners look for. Use them when you wish to, and close them or fold them up when you do not. The pull out or folding process takes barely a minute! An added value to hectic everyday life most people go through. With Masons Home Décor, purchasing a sofa bed is now easy. 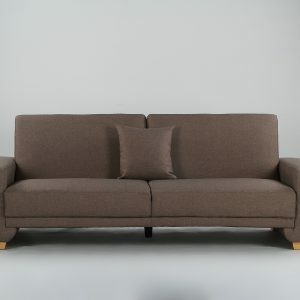 Assembly and shipping is free for all sofa beds!